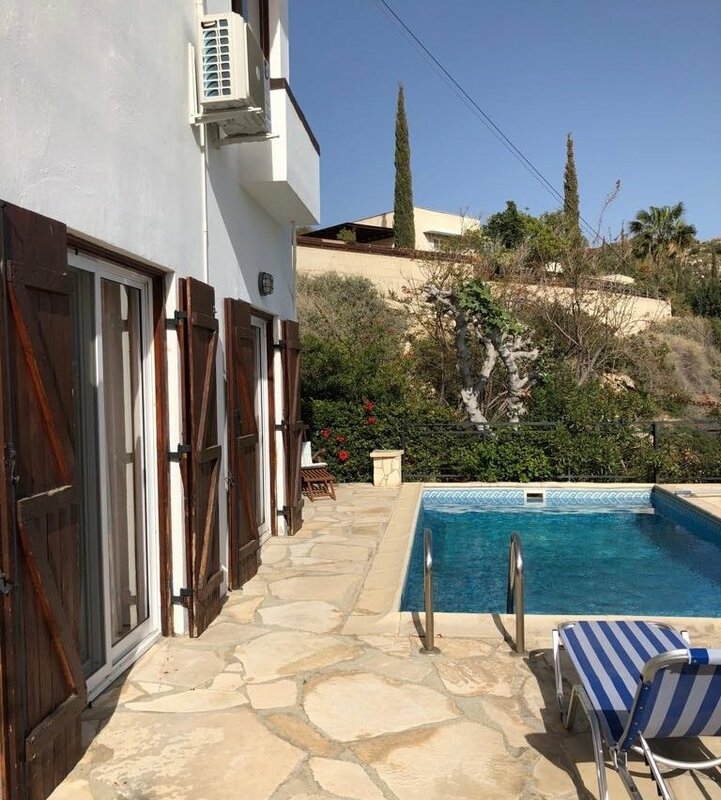 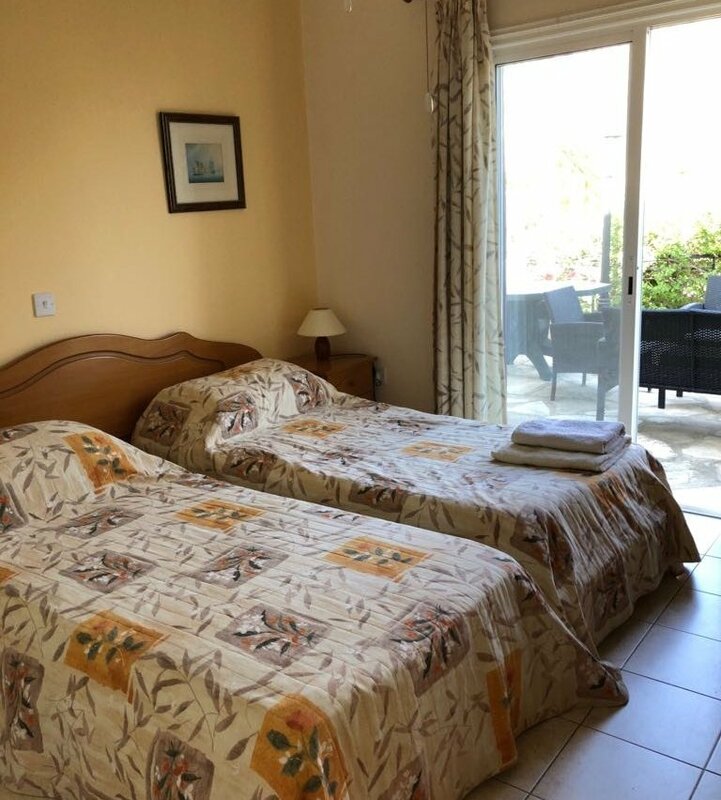 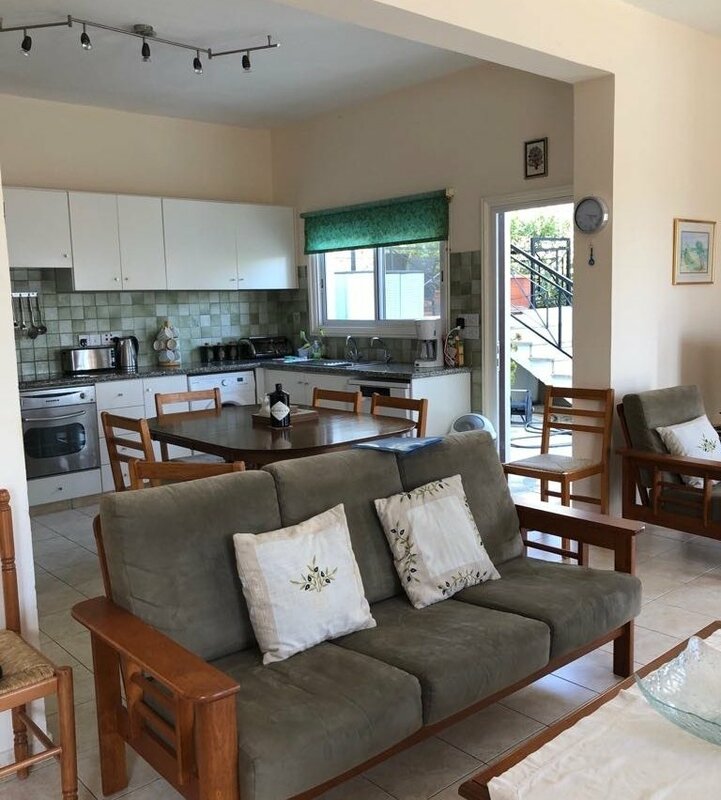 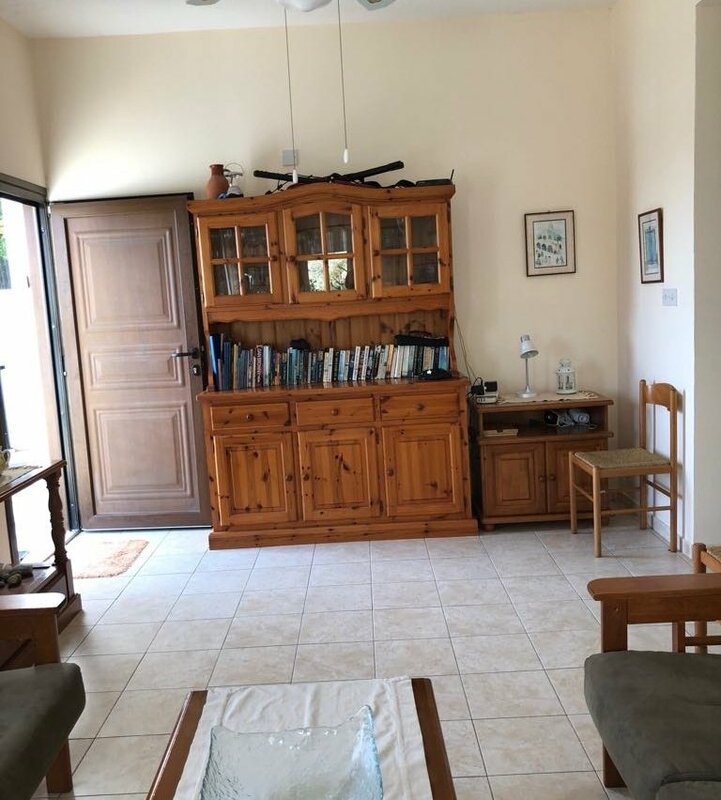 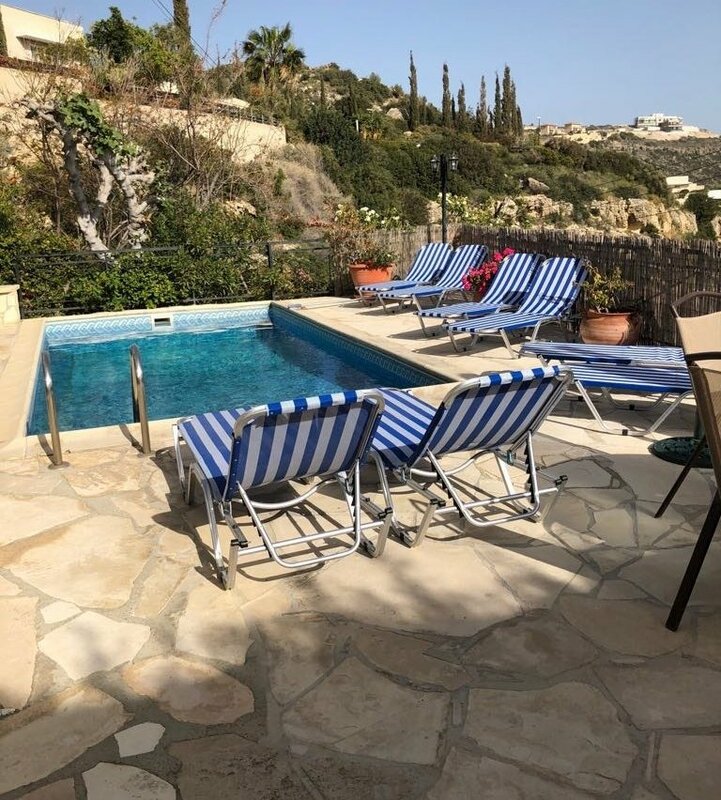 A homely and comfortable 4 Bedroom detached Villa in Pissouri bay built as a family holiday home is equipped to a high level with free WI-FI. 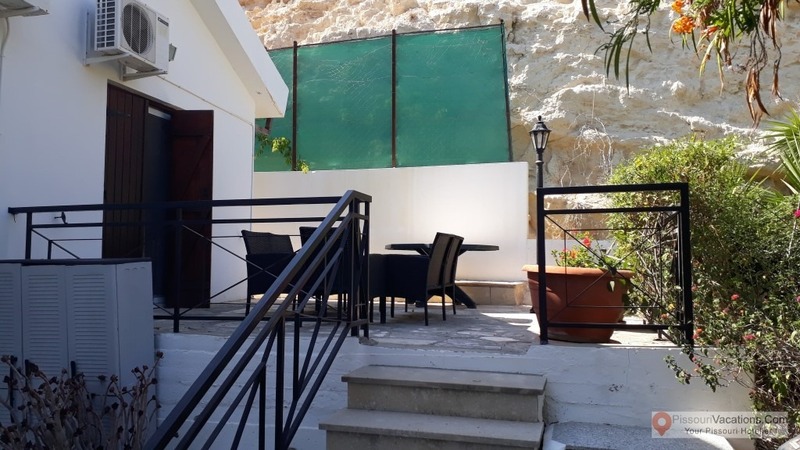 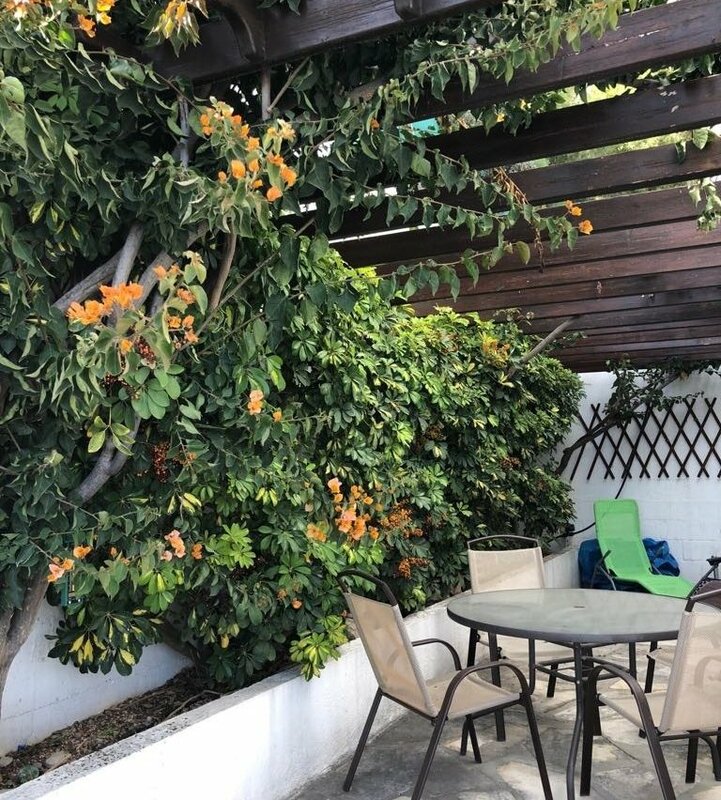 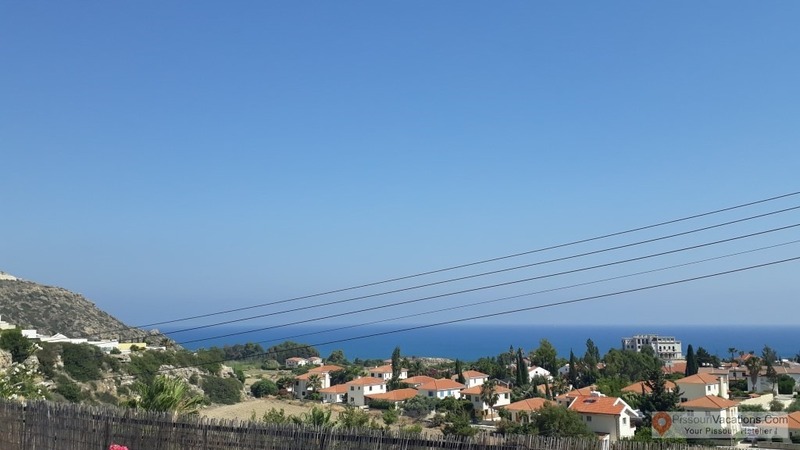 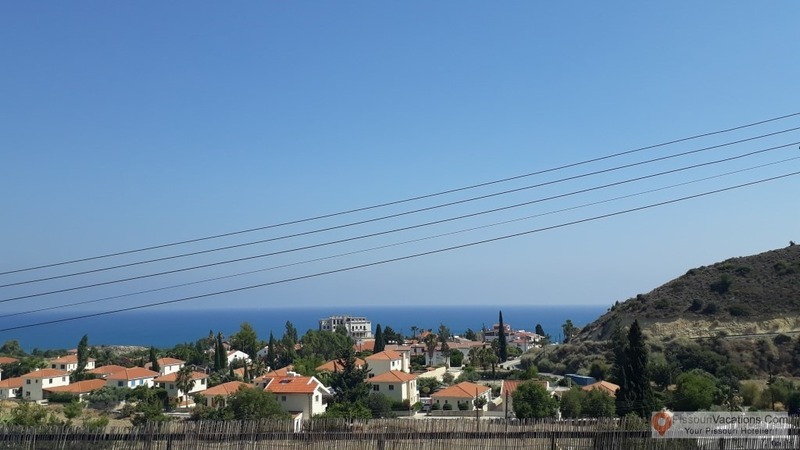 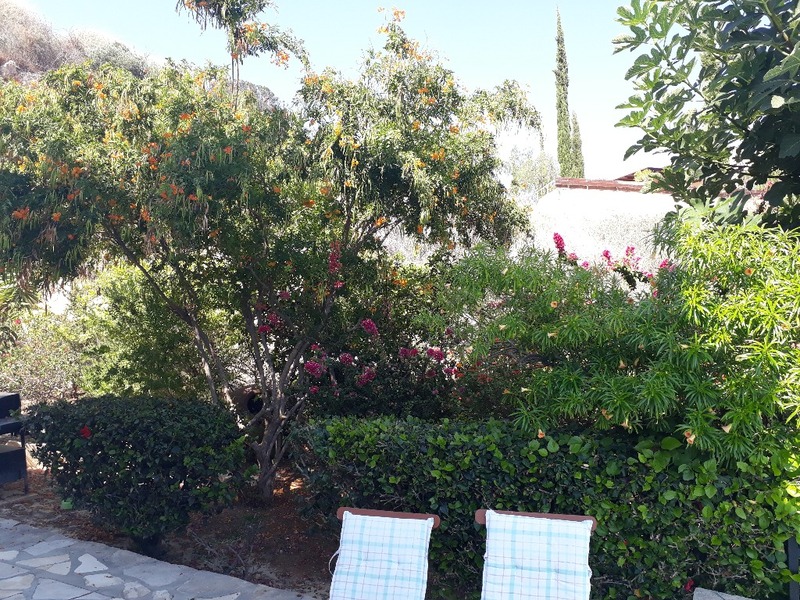 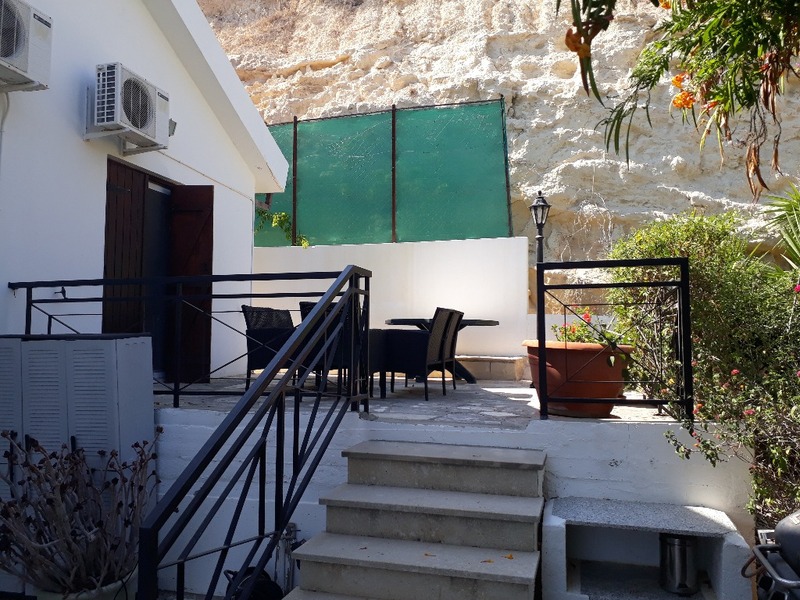 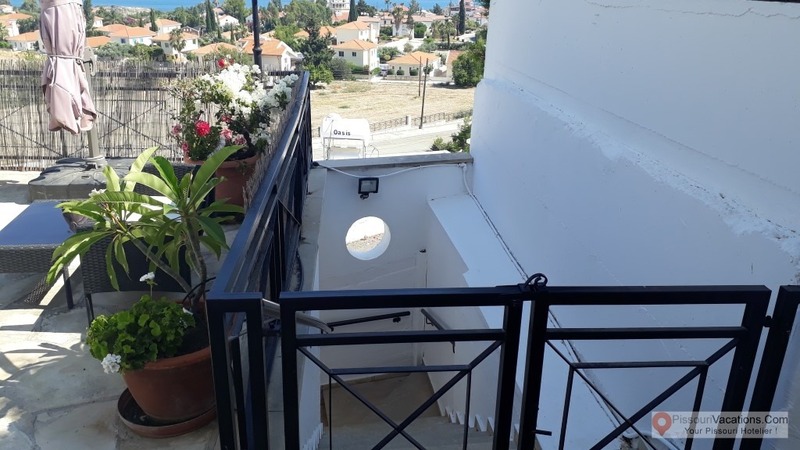 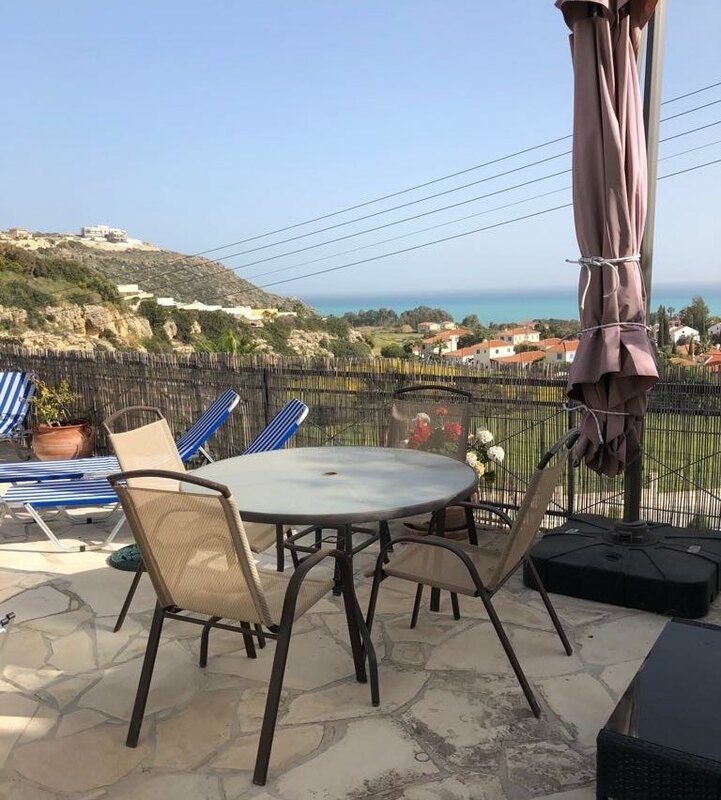 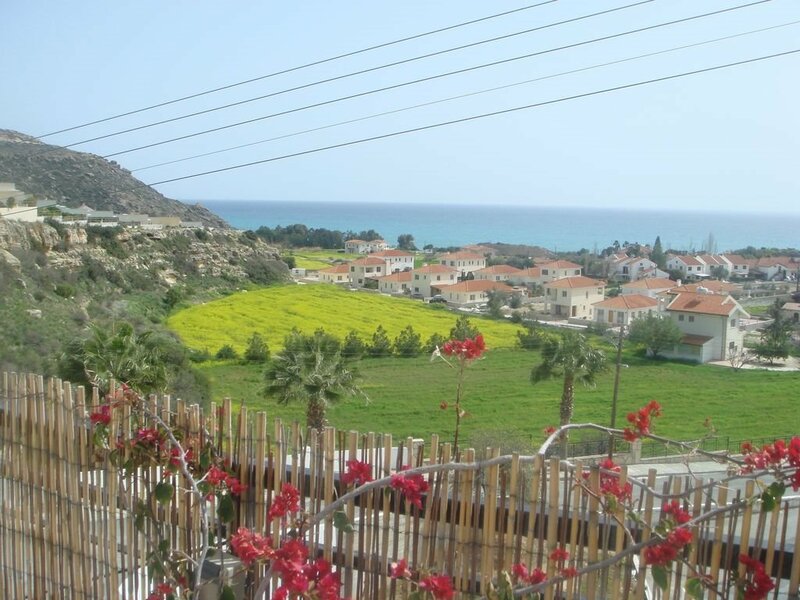 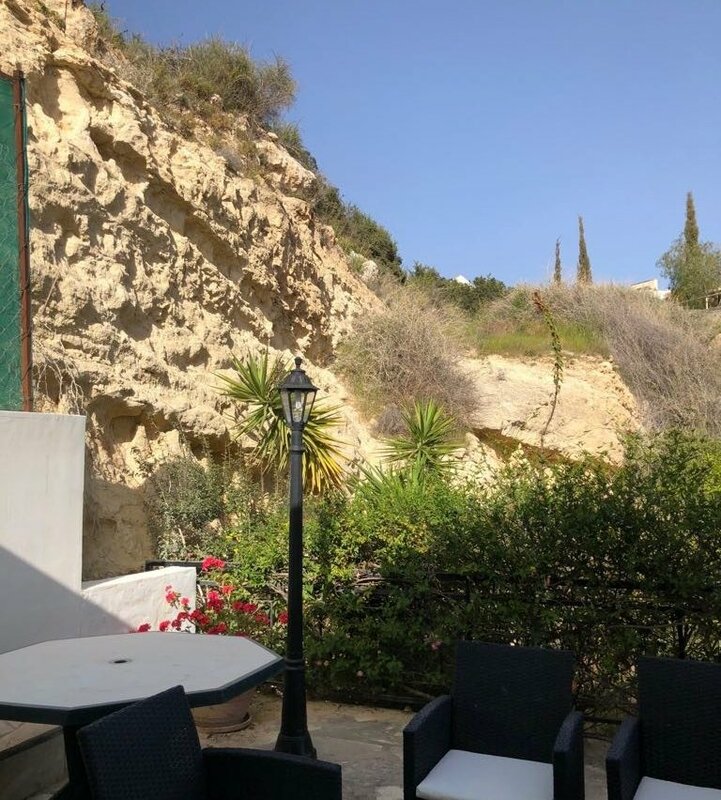 The villa is situated in the Bay area of Pissouri, in a well established quiet and safe development, home to a number of permanent residents as well as holiday homes with the village center only 4km away. 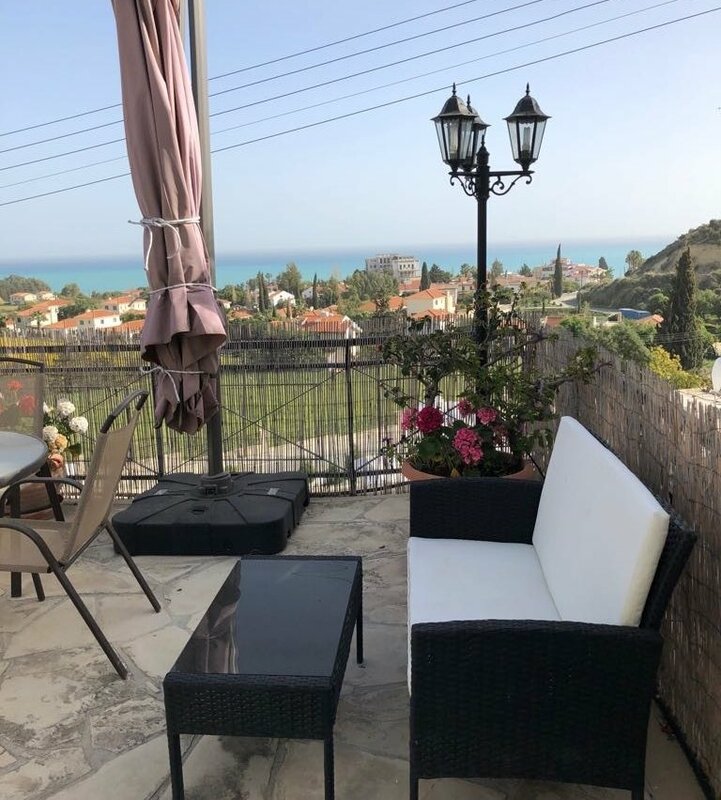 This Villa has great outdoor space including a private swimming pool a large terrace and sundeck and adjacent gardens that blend into the hillside and brilliant views across all of Pissouri bay. 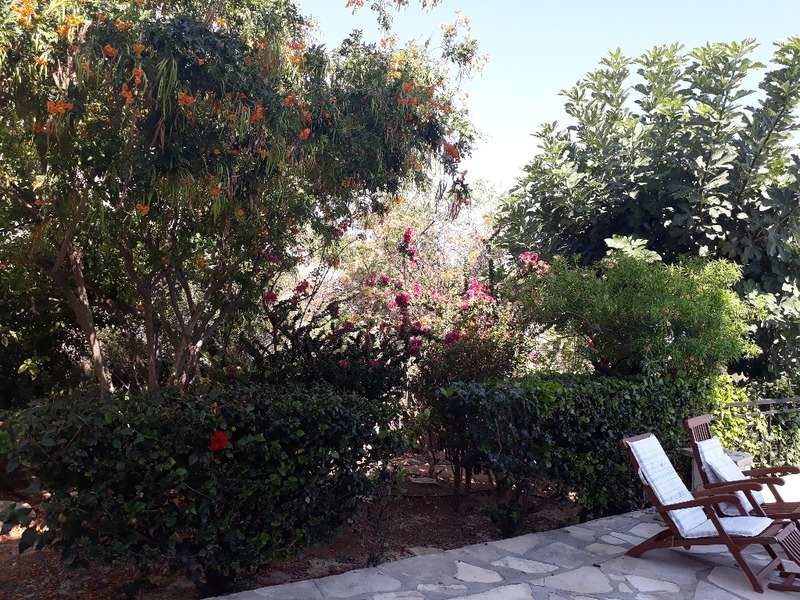 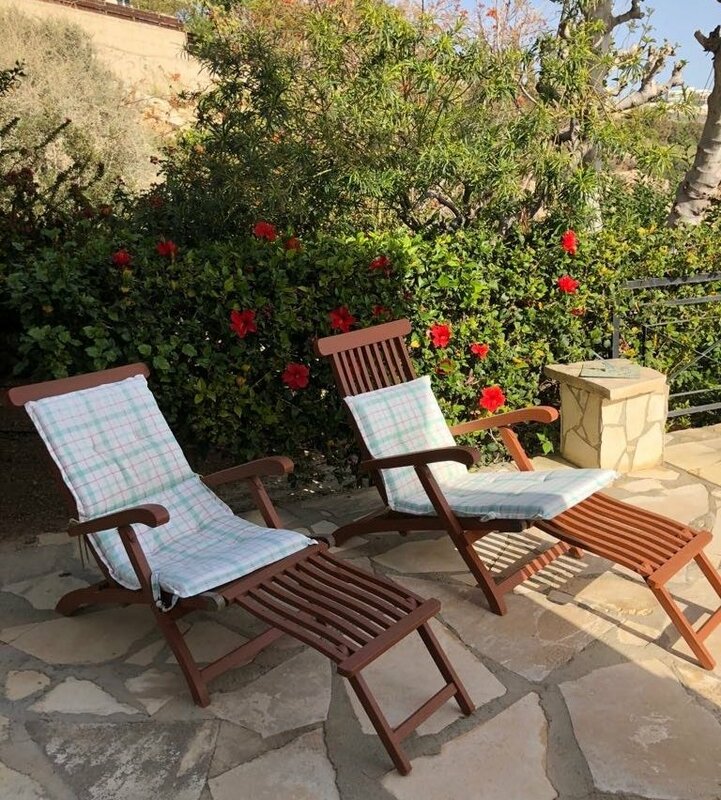 Above the villa, the Pissouri countryside offers access to walking opportunities for wildlife, bird-watching and enjoyment of this wonderful part of Cyprus. 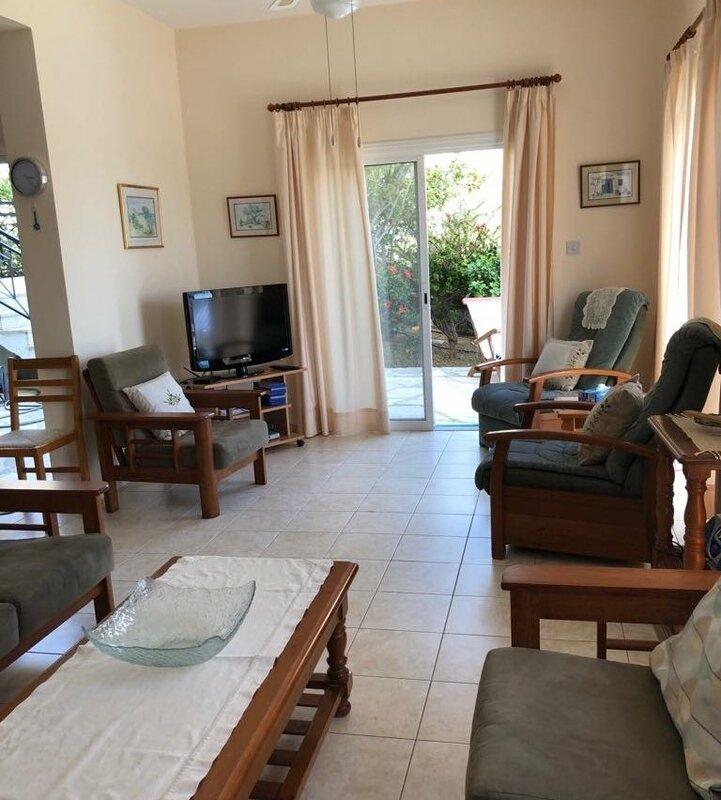 Walking into the villa opens up into the large open plan lounge, dinning and kitchen area making up almost all of the ground floor, this room was purpose designed with sliding glass windows to provide a light airy room for use when you need to get out of the sun. 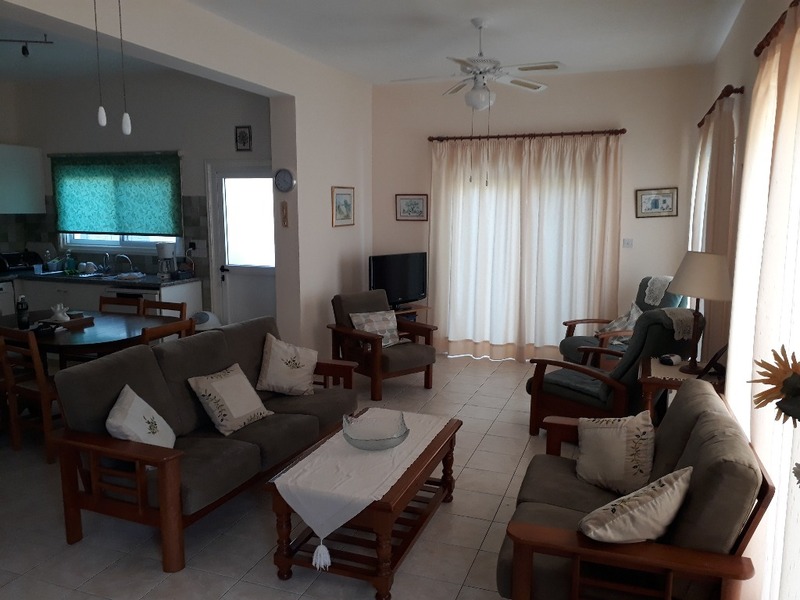 The lounge is equipped with comfortable seating, Flat screen TV with internet TV, Video & DVD player, HI-FI, Games station, books, board games and more, the dining area has a large table with 6 chairs. 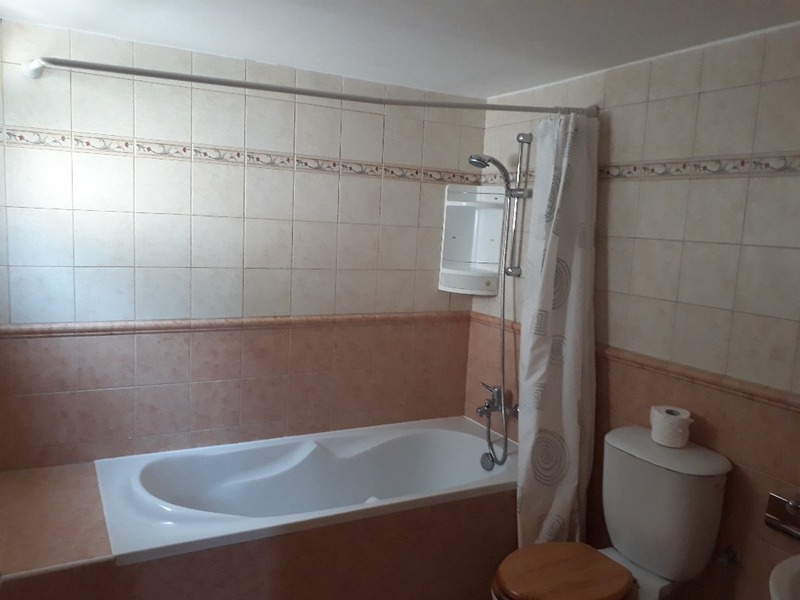 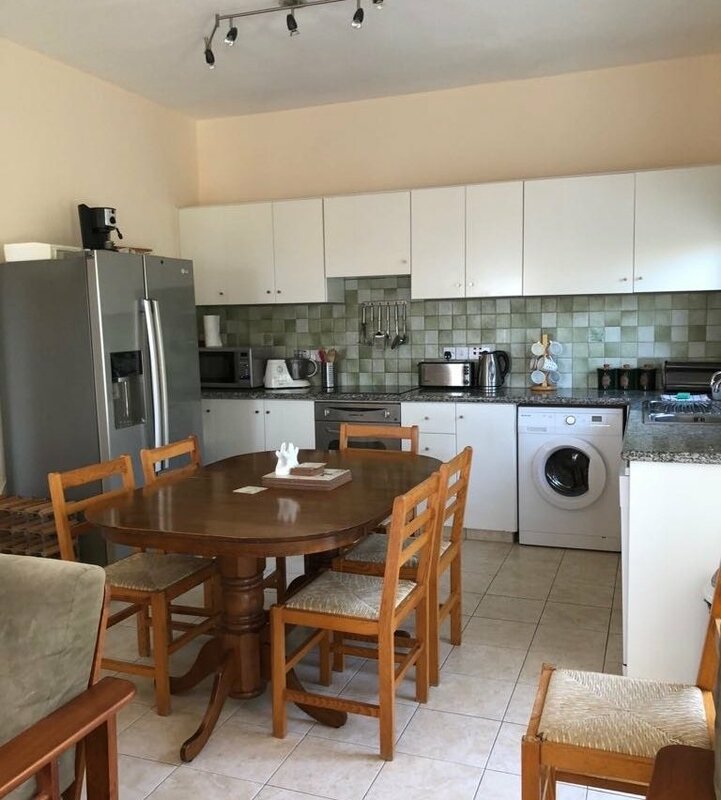 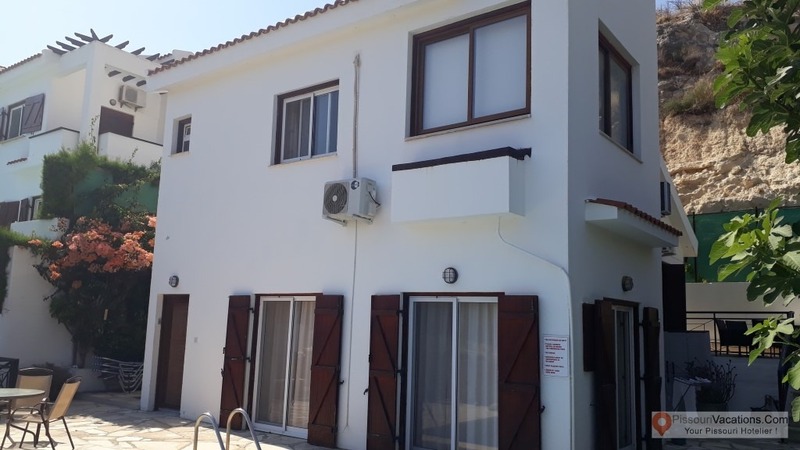 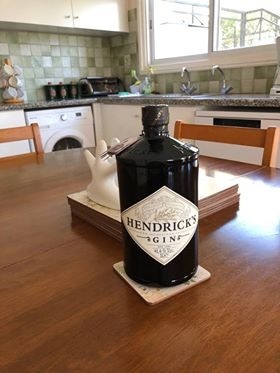 The kitchen is extremely well equipped and has good cupboard and worktop space, electric cooker and hob, dishwasher, fridge-freezer with ice maker, microwave, kettle, toaster, frappe maker, washing machine, tumble dryer, water cooler and full selection of cooking utensils. 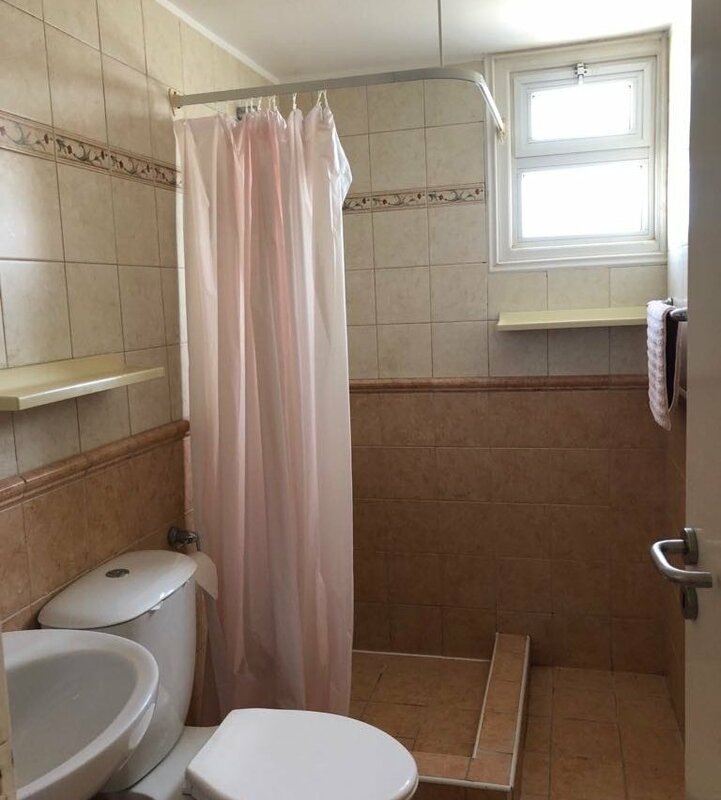 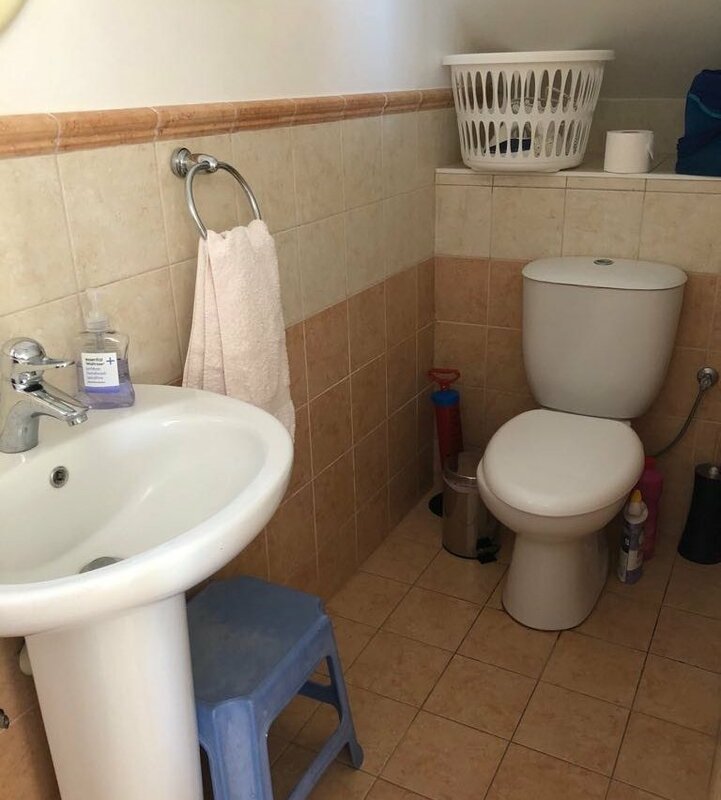 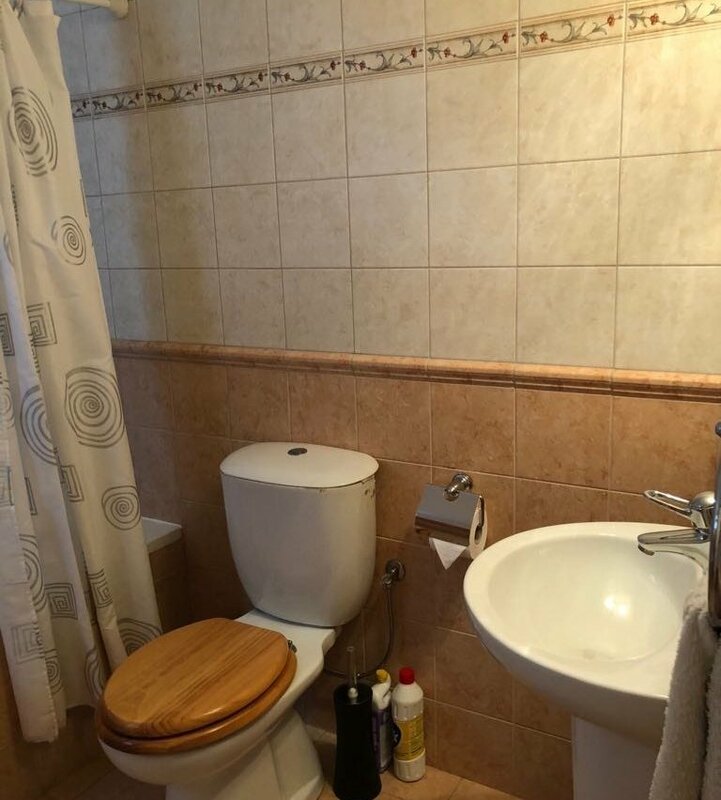 Off the lounge Area is a downstairs toilet and washbasin. 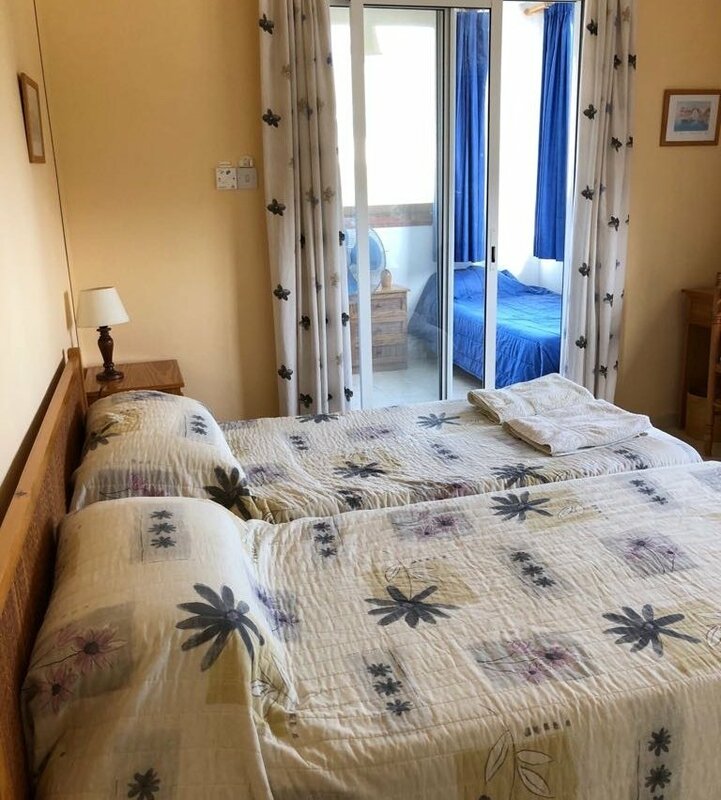 The fourth bedroom is also a twin added onto the master bedroom. 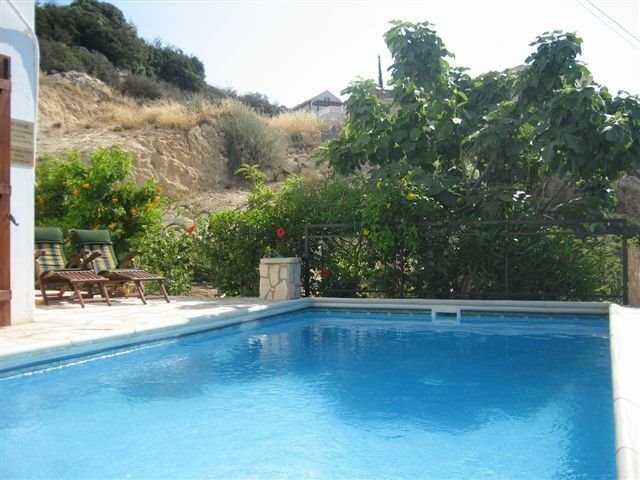 Outside there are sun-loungers, tables and chairs, a quiet shaded area for hot days, BBQ and of course the swimming pool. 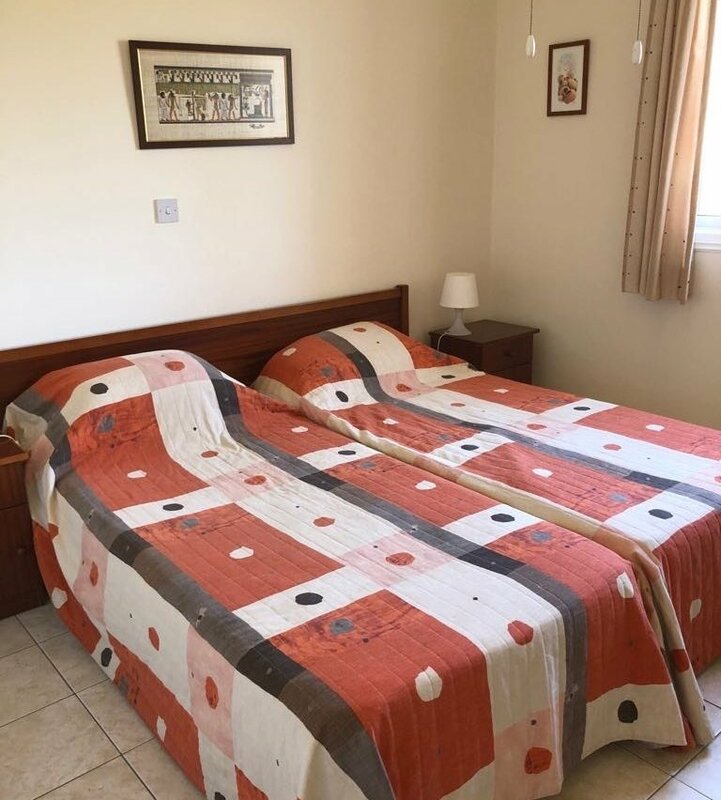 House towels are provided but guests are asked to bring their own beach towels. 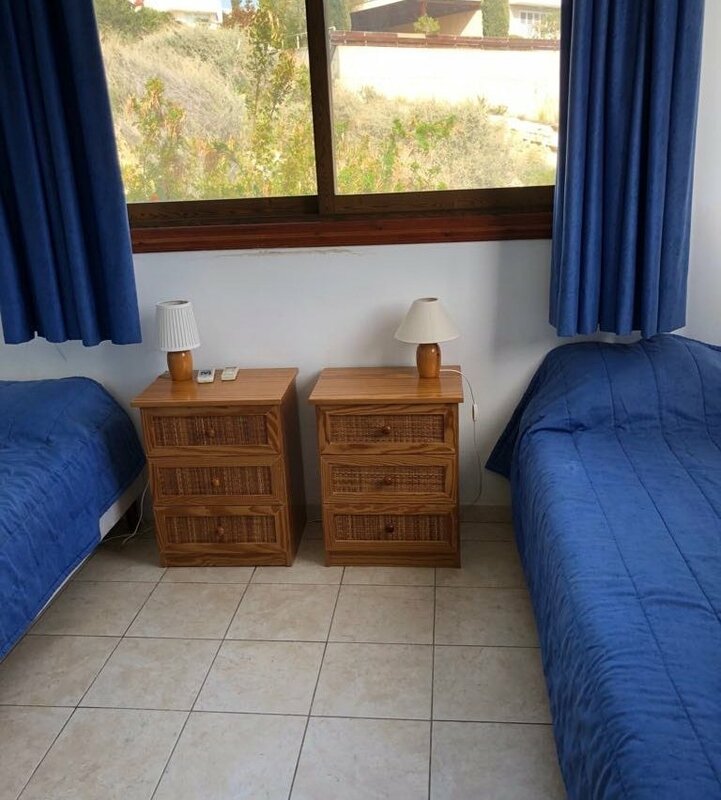 There is also a travel cot and High Chair available.